Irvine Appliance Repair Services is the leader for local appliance repair in Irvine and the surrounding Orange County cities. In business since 2008 we have an unblemished record of customer satisfaction and intend to maintain our proud achievements as a customer focused company. Are you in need of a reliable appliance repair service? Call us today for repair of any major home appliance. We commit to respond in a timely manner and address your need for appliance repair, often providing same-day service. We offer extremely competitive pricing and always guarantee all the work we do. Have an emergency? Night and weekend appointments are sometimes available to fit your schedule. Our goal is to be the your first choice for appliance repair. You can depend on our company every time you call upon us to service your appliances. Fast, Efficient Service! We specialize in same/next day repairs! Most Professional! We commit to provide friendly, professional services! No Hidden Fees! We put everything in writing! Loyal Customer Service! We seek 100% customer satisfaction every time! Highly Competitive Rates! Weekend and evenings, too! All Brands Serviced! We are skilled and trained! On Time Service! We think your time is important! All Work Guaranteed! No fine print here! We Always Provide Quality Service! ​Our service area covers all of Orange County, so give us a call today! We will come in one of our clean, attractive service vans, arriving on time and eager to get your appliances back in working order as soon as possible! Have a question about our services? Simply fill in the form on the right of this page to receive a call back. Our professional technicians are skilled and certified to repair all major appliances including dishwashers, ranges, cooktops, refrigerators, ice makers, ovens, trash compactors, disposals, washers and dryers. We specialize in repairing Sub-Zero, LG, Maytag, GE, Whirlpool, Kenmore, Jenn-Air, Viking, Bosch and many more brands. Simply call us today, or send us an email, and we will provide you with the best repair services in a timely fashion. We commit to providing the best contractors for the job, and insist our professionals are up to date on all certifications and trainings. We have decades of combined experience in appliance repair services, and we have served Greater Orange County’s homeowners for years. We have references and testimonials that we can brag about. And our employees are our family. Our professional service technicians come ready to discern the problem quickly, and work swiftly to repair your appliance same day. Our help is on the way! Contact us today and we will dispatch one of our highly trained diagnostic and repair specialists to provide you with a written estimate for repairs. We will gladly answer any questions you have, and never pressure you to make decisions. When you are ready, we will start the work. You are the boss! We are committed to outstanding customer service and provide reliable repairs each and every time. We want our customers satisfied, and rely on our many referrals to grow our business. We are Irvine’s Top Appliance Repair Service! Leave nothing to chance and call Irvine Appliance Repair Services today. Living the fast paced lives we do today, it is hard to imagine having to go without our appliances. Actually, for most busy professional homes, it would be a logistical nightmare. While we can all wash dishes by hand if necessary, washing clothes and keeping food cold enough not to spoil can be a true challenge for most Orange County households. ​Don't waste your hard earned money on second rate services. Call us today to help you get your home back running on full steam! ​Sometimes, we encounter problems that we cannot responsibly recommend repairs for. Should this happen, and the life of your appliance has been lived fully, we will provide disposal and installation services for new appliances ordered through us. We will work with you and gladly point you to a few of our favorite appliance brands and models. Your Irvine Appliance Repair Services professional will assess your faulty equipment before providing options for fixing and the likelihood of future problems occurring. We provide you all the facts and associated costs of your appliance service repair so that you can make an informed decision that bests suits you. Whatever your home appliance repair, Irvine Appliance Repair Services are ready and waiting to hear from you. We are only a phone call away. Irvine Appliance Repair Services is here to help you, providing exceptional service each and every time. We will gladly provide you with estimates and recommend price effective solutions to all our clients. You can rest assured that we will not pressure you as our goal is to work with you for the best outcome. We are the specialists! ​Tried to fix the problem on your own first? We understand the desire to save time and money, but many of the top appliance brands require special attention and servicing. We receive many calls each year from distressed homeowners when DIY repairs fail. Your appliances are an investment in your home and quality of life, so calling professionals to deal with repairs is always the best move. ​All top appliance manufacturers update and improve appliances and without proper training and materials, servicing should not be attempted. The truth is more damage than good can be done. Always trust Irvine Appliance Repair Services with your appliance repairs. You may end up saving your appliance and your pocketbook! ​Irvine Appliance Repair Services prides itself on fast, cost effective and professional repairs for all major home appliances. We may not give you the lowest bid, but we also never falsely advertise our pricing or hide behind low-ball estimates. Everything is clearly spelled out in each and every written estimate, and we make sure we take the time to educate our clients on the true out-of-pocket costs before the bid is signed. We stand by our policy to be completely transparent with our pricing and practices. There is no funny business here! Our client’s referrals are important! At Irvine Appliance Repair Services, we promise to serve you the way we would expect to be served. We are committed to providing the finest service for refrigerator repair in Orange County. We work with our clients to find solutions to fit every budget. Help us get your appliance repair needs dealt with today! We respond immediately to customer service calls. If you are looking for a reliable local appliance repair service then look no more! We are located in Irvine however due to our reputation for quality repair and service we receive service calls from all over Orange County. 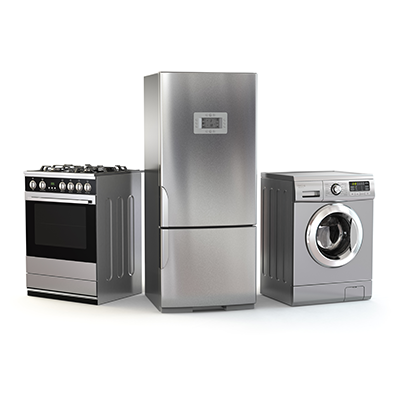 Trust Irvine Appliance Repair Services to take good care of you as a valued customer. Contact us today for your appliance service call. We cannot be thought of as an option for cheap appliance repair since all our work if guaranteed and our contractors are all licensed professionals. We are an affordable appliance repair company, bonded and licensed for your protection and peace of mind. We only use quality parts rather than finding something to "patch" the repair for the sake of saving a few dollars. Most of us take our modern conveniences for granted until the unthinkable happens and they let us down. Oftentimes this can occur and the most inopportune time and leave us desperate for an appliance repair service. ​No one plans for appliance repair issues, they just happen. Often, at the least convenient time, causing disruption and possibly damage to your home. 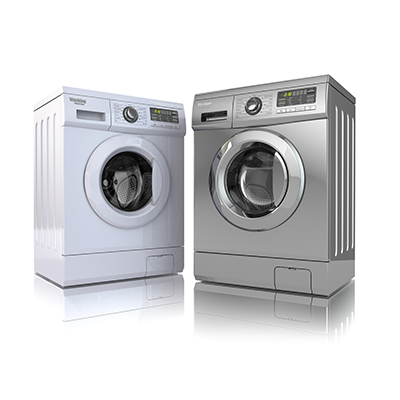 Leaking washers and overheating dryers are not small issues! Often delaying repairs can increase the costs, not just for overworked appliances, but for your house. The number of dryer fires each year is on the rise, and warped floorboards are expensive to repair. Take heed and call us today! At the first sign of a problem, have your appliances inspected for possible hazardous conditions. Take no chances with your family members and property. Other issues are less urgent, but require your attention. One of our most frequent calls deals with backed up garbage disposals. This can be a real nightmare when company is on its way and your kitchen sink is full of putrid water. We can often be at your door the same day and help deal with repairs before the problems get bigger than desired. Simply fill out the form or call us today! All our technicians are fully trained and licensed, when appropriate. You can trust our services. Reach out to us now and schedule your appointment for appliance repair! Newport Beach, Costa Mesa, Mission Viejo, Aliso Viejo, Laguna Niguel, Laguna Hills, Laguna Woods, Tustin, Lake Forest, Portola Hills, Foothill Ranch, Orange, Santa Ana and Huntington Beach. If you have a business and are in need of a large commercial system, we have teamed up with a financial partner to offer financing to companies who might wish to amortize the cost of your capital expenditure over a period of time. To find out if your business is able to qualify please contact this company for business loans. Please mention that you were referred from Irvine Appliance Repair Services so that your application will be handled swiftly by the appropriate persons there. "I'm so glad I called Irvine Appliance Repair before things got worse. Same day service was a life saver! Highly recommend!"